Brie - Full fat soft cheese made from pasteurised cow's milk. Camembert - Full fat soft cheese made from pasteurised cow's milk. 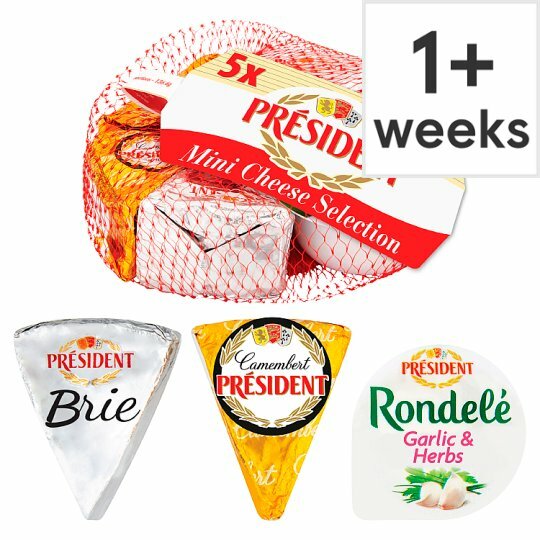 Rondelé - Soft spreadable cheese with garlic & herbs and flavourings, enriched with calcium and vitamin D.